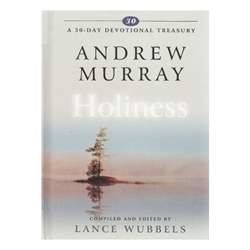 Andrew Murray was a South African pastor and evangelist who led a revival that shook his country and touched the church worldwide. Andrew Murray (1828-1917) was a South African pastor and evangelist who led a revival that shook his country and touched the church worldwide. At the core of these readings selected from Holy in Christ is the burning conviction that God's children can and must be holy in daily experience, with joy and faith.